which were always influenced by the Latin syntax”. Dr Izaak Cylkow began his work on direct translations of biblical books to the Polish language already during the 80s of the 19th century. In 1883, “Psalms”, “translated and elucidated by Dr. J. Cylkow”, were published by Aleksander Gins’ printer’s shop. However, translating the Torah – the first five books of the Hebrew Bible, which constitute the very foundation of Judaism – was the Warsaw-based rabbi’s most important initiative. And so, in 1985, “Moses’ Pentateuch”, “translated and elucidated according to the best sources by Dr I. Cylkow”, was published in 1895 in Cracow. The book’s publishing was “funded by the Translator”. Cylkow’s Torah is the first Polish translation of the Pentateuch done on basis of the original text in Hebrew. All preceding translations of the first books of the Old Testament – as they are called by Christians – were based on translations from Latin. In this context, the importance of Cylkow’s work is tremendous. Czesław Miłosz claimed that it was a translation of exceptional poetic beauty, at the same time remaining true to the original text (which is a rare combination). According to Miłosz, Cylkow aimed to preserve the order of words from the original whenever it was possible. 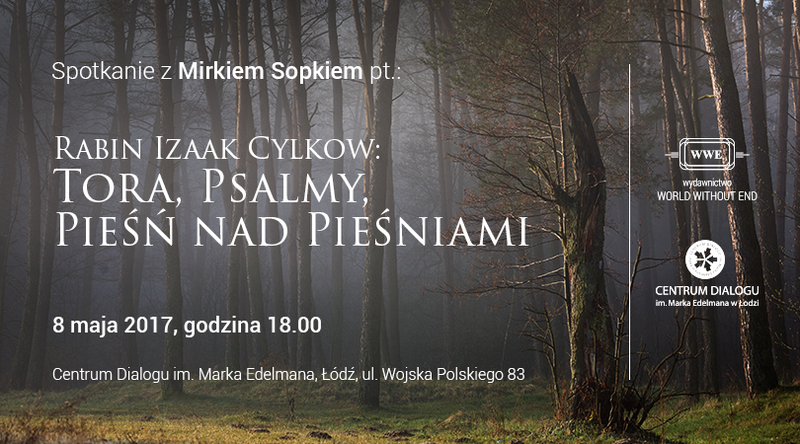 Miłosz notices that Cylkow, “sensitive to the modulation of the Hebrew phrase, shapes the verse in a manner slightly different from both the Catholic and Protestant Bibles, which were always influenced by the Latin syntax”. Apart from biblical books, Cylkow also translated the Machzor prayer book, as well as Sermons and Teachings. Today, the publishing of Cylkow’s works (as facsimile) is undertaken by the Cracow-based publishing house Austeria. Read more about the meaning of the Torah in Judaism, about rabbi Cylkow, and this edition of the Torah.